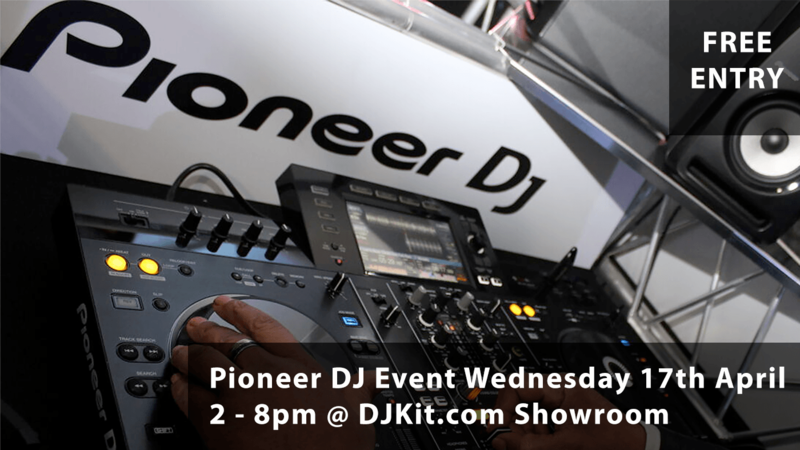 We've teamed up with Pioneer DJ for an in store event covering everything to do with Pioneer DJ equipment! Whether you're new to the game using the entry level DDJ-400, a regular playing on the club standard CDJ2000NXS2, or simply interested in DJing & want to know where to start, Pioneer DJ Product specialist Sami Qureshi will be about to answer any of your burning questions on the equipment, software and any controller in between! WIN A PAIR OF PIONEER HDJ-X5 BT HEADPHONES! We will be giving away a pair of headphones to one lucky person on the night! Register your ticket through Eventbrite to be in with a chance to win! The event will be running from 2pm - 8pm, all ages are welcome as it is half term! So pop in during the day or after work! The closest train station is Newbury Racecourse, we are literally just over the road!